Switching to a vegetarian diet can be a healthy choice. However, despite the proven health benefits, vegetarians can often be deficient in certain nutrients. These deficiencies can be especially problematic during pregnancy. When a woman becomes pregnant or is trying to become pregnant, there is an increased focus on health. Ensuring enough essential vitamins and nutrients are consumed is a wise concern. Many of the recommended daily amounts of vitamins double during pregnancy. Shortcomings in a mother’s diet can lead to deficiencies for the baby, so it is vital to consume a balanced diet. Vegan – vegetables, fruits, seeds, beans, and grains. Lacto-vegetarian – vegetables, fruits, seeds, beans, grains and dairy products. Lacto-ovo-vegetarian – vegetables, fruits, seeds, beans, grains, dairy, and eggs. Pescatarian – vegetables, fruits, seeds, beans, grains, dairy, eggs, and fish. 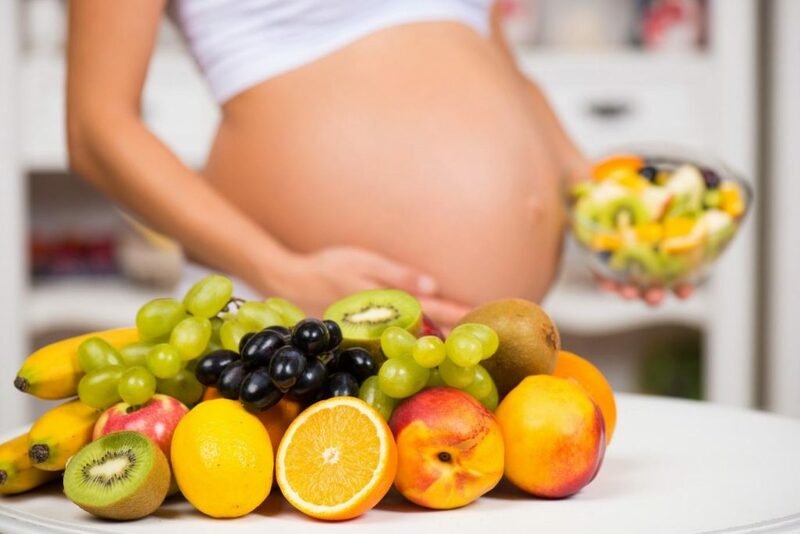 Eating a vegetarian diet during pregnancy is perfectly healthy, but it is important to make sure enough key vitamins and nutrients are included, as outlined below. The biggest concern for most vegetarians is the level of protein they are consuming. There are various high protein options for a vegetarian to include in their diet, such as lentils, beans, legumes, nuts, soy, and more. Protein is vital to the development and growth of the baby’s muscles, tissues, and cells. A diet high in calcium is essential to a healthy pregnancy and baby. Calcium develops the baby’s bones, teeth, and cells. Milk, cheese, and yogurt are fantastic sources of calcium. If choosing vegan alternative-dairy products, make sure to consume the calcium-enriched options. Pulses, seeds, tofu, and dried fruit also contain high levels of calcium. Vitamin D intake is essential for bone health. Vitamin D’s primary source is sunlight but can also be found in some foods such as mushrooms and vitamin D fortified tofu and orange juice. Low levels of vitamin D makes your body unable to digest calcium. High fiber content, frequently found with plant-based diets, can compromise the absorption of Vitamin D.
Taking a plant-derived supplement can ensure you have enough Vitamin D and calcium for a healthy pregnancy and baby. Humans do not naturally store reserves of folic acid. It is an essential nutrient for cell growth, and aids in the development of the spinal cord and brain of the unborn baby. Folate occurs naturally in some foods, such as leafy green vegetables and legumes, and additional synthetic folic acid supplements are suggested to reach the increased daily levels recommended for pregnant woman. This nutrient plays a crucial part in pregnancy. Sufficient iron intake is highly recommended to prevent anemia and ensure a healthy baby and delivery. To increase iron levels, a supplement can be taken, or iron-rich food can be eaten. These vegetarian foods include dark green vegetables, eggs, pulses, fortified cereals, and dried fruit. These healthy fats are essential for the development of the brain, nervous system, and immune system during pregnancy. Many delicious vegetarian foods are filled with Omega 3. These include avocado, olive oil, nuts, coconut oil, and seeds. Including these Omega rich foods in your diet can help prevent your baby from developing learning, immune system, and emotional disorders. A pregnant woman’s immune system is naturally suppressed. This leaves a pregnant woman more susceptible to viruses and bacterial infections. Vitamin C is beneficial in boosting the immune system. It aids in the repair of tissue, bone growth, and cell protection. Vitamin C occurs naturally in many different fruits and vegetables. It is also known to increase the absorption of iron, which is an important additional benefit. The best diet for breastfeeding is similar to pregnancy with an increased focus on calorie and fluid intake, so you produce sufficient milk. Consume nutritious beverages like soy milk, soups, smoothies, and juice in addition to eating small frequent meals. Vegetarian diets can be nutritionally sufficient for pregnancy. Choose a variety of foods that provide enough calories, nutrients, and protein for you and your baby. Depending on the type of vegetarian meal plan you follow, you might need to consult with a nutritionist to help you adjust your eating habits or discuss supplements to prevent deficiencies that could affect your unborn baby. Pregnancy is a special time, and all mothers want to be feeling their best. This can be achieved by providing the body with all the necessary nutrients and vitamins it requires throughout pregnancy.